So I was back at Velocity @ Novena Square for my 2nd Clear SK appointment (which I will blog about them in time to come) last Sunday and T still accompanied me down this time even though he couldn't use the car and had to take public transport down with me, plus self-entertain and loiter around the 4 malls (Velocity, Novena Square, Square2, United Square) for 1.5 hours while I'm having my facial done at Clear SK. But that also means, dinner here at Velocity/Novena Square/Square 2/United Square! And look what T has found! One of my favourite food, Ramen! 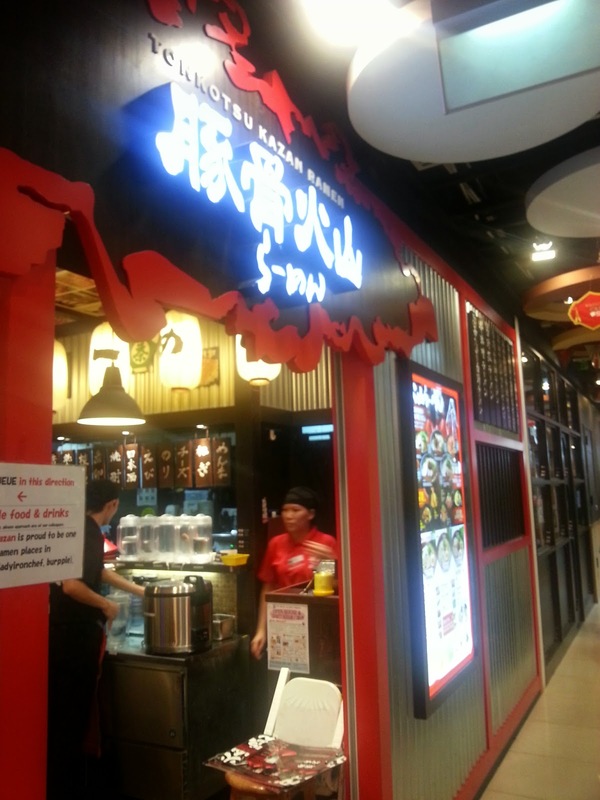 And this is the Tonkkotsu Kazan Ramen located at Square 2. It was pretty crowded when we got there at about 8 plus, and the small ramen-ya remained pretty packed up until we left at almost 9pm. Pretty popular huh! You'll find out why. 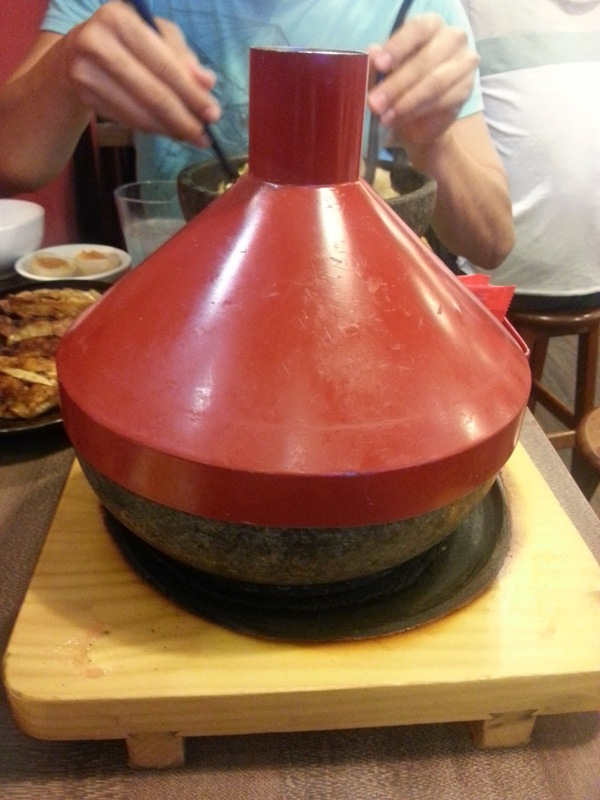 Then this intimidating "volcano" ramen is served, dry in the super hot stone pot. 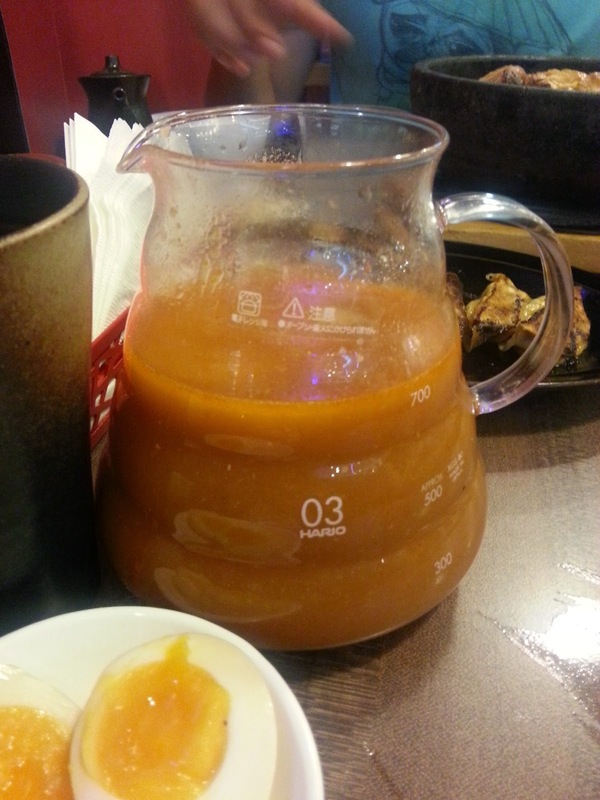 The server will then pour in about half of the soup in the jug and close the red lid back on. Then you wait for 1 minute (there's a cute little timer on your table), until you see smoke rising from the top opening of the lid and, and remove the lid, pour the rest of the soup in and viola, you get your kazan ramen done! I'll definitely advise that you get the staff to help with removing the lid for it'll be VERY hot. I think this ramen will be the best choice for ladies, filled to the brim with a huge tomato, tons of cabbage shreds, beansprouts and red capsicums. The pork bone based broth is further 'spiced up' with a tangy flavour from the tomatoes, giving it a lighter and refreshing taste to the usual heavily flavourful ramen tonkotsu broth. Seriously, I think that all the cabbage and beansprouts combined is twice as much as the noodles inside. Having a ton of beansprouts seemed to be how they do their ramen, so if you dislike beansprouts, please make a special order request to not add them in! It'll be a painfully infinite process if you have to pick them out one by one. 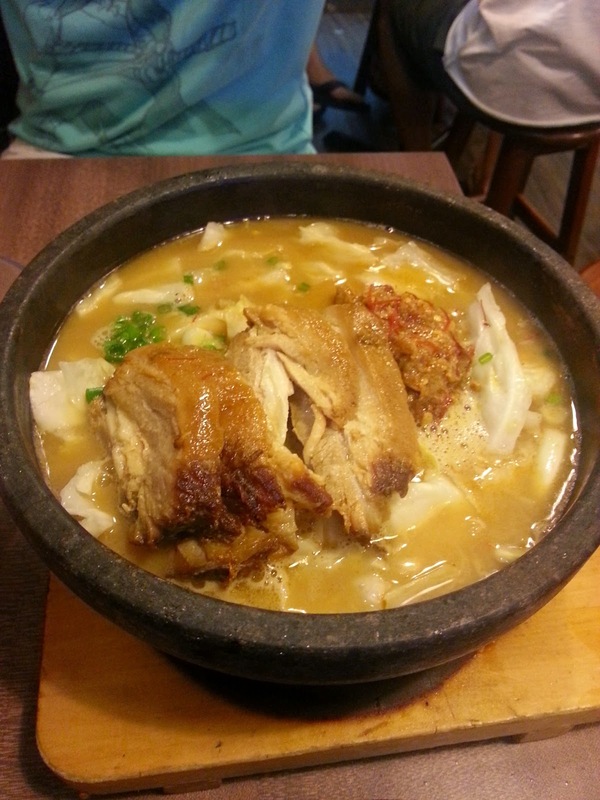 The broth was strongly flavourful, yet not spicy at all. So we're both a little disappointed. The charsiu, however, was heavenly! So thoroughly braised, and has the right amount of fattiness to make it tender and soft. I took a bite and it literally like melt apart in my mouth. Their flavoured egg was pretty disappointing too. 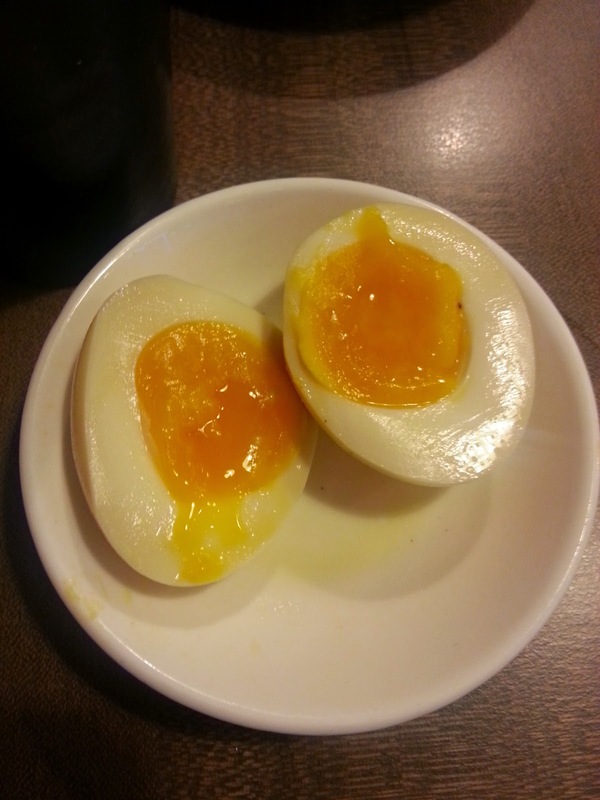 Yes, the yolk was almost perfect with the outside moist and just cooked through while the innermost is glistening gooey, but... where's the braised flavour?! It was pure white throughout on the insides and the surface was only so ever slightly tanned that on first look I thought it was just a soft boiled egg. Taste wise, same thing. This is just a soft boiled egg sold as a flavoured egg. Period. My first impression when I saw these burnt gyoza was also another mental thumbs-down. But hey, I was surprised when I took a bite! 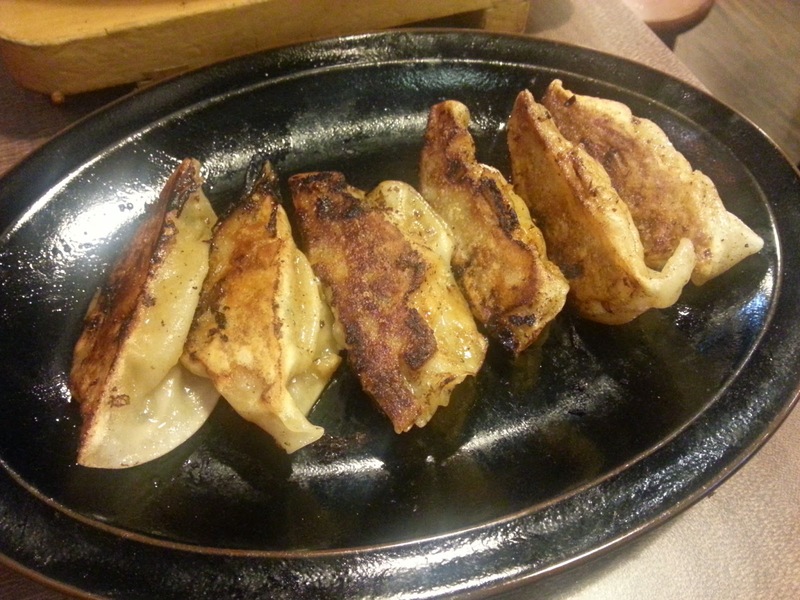 The slightly charred flavour actually added more taste to the gyoza, while the meat filling remains tender and moist. Have you checked out my Christmas Lush Giveaway yet? Drop by HERE to find out how you can win home a Cinders bath bomb and a Snowcake bar! The eggs look so good, but they don't taste the way they look? Awww. I'd be disappointed too. The volcano ramen looks fun to order, though, the kids would most likely enjoy watching the smoke rise and all. The Karamiso Kazan Ramen looks good. Now if I can find ramen that looks like that around here, then perhaps I'd be more adventurous with going for Japanese, hihi. Just like you, though, I would love it spicy, too. My mouth is watering seeing all these varieties of foods. I have not seen most of them before. It feels they are so delicious. Drooling! Pausing for a while... (scavenging around the kitchen...) I'm famished! That Karamiso Kazan Ramen looks so good, I wished it would pop out from my laptop screen! Okay... have to eat, I'm boiling soe eggs...just like that from the pic:) Hope to see you one day in SG and dine with you too! Oh my the look so yummy! I really haven't tasted Ramen before because Im scared of the carbs. But Im sure it will do no harm if I just taste a little. They look really delicious!! I haven't had ramen in a while and I am so missing it. 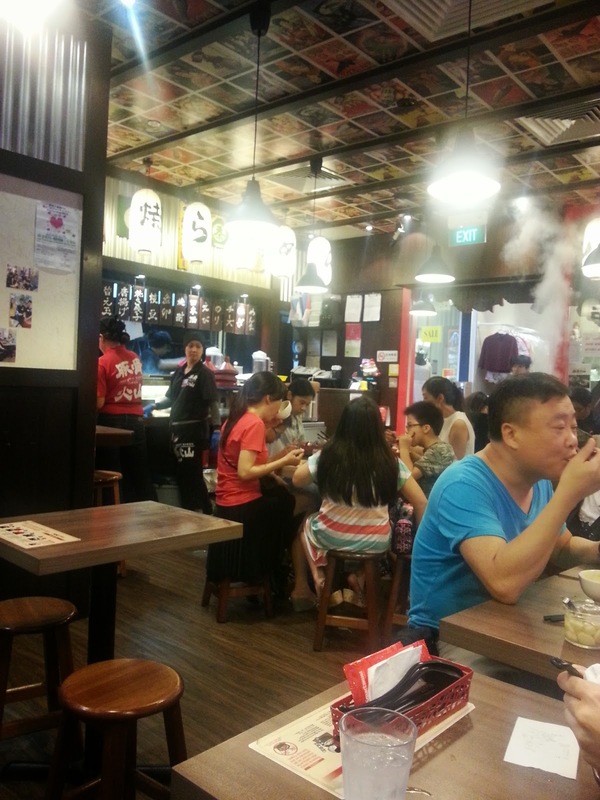 I love the authenticity of place ( looks a lot like the small restos I've been to in Japan ). All the photos you shared are making me hungry! everything looks lovely! total ramen fan , but these is a must try for me! I am craving for ramen right now! omg so yummyy!!! I haven't tried ramen and I'm planning to taste it next year (included in my bucketlist). In cooking, presentation or plating is a must so more customers would want to see that. We are usually attracted to visuals but we, customers, should not be quick to judge. We have to taste first before concluding anything. Some food really don't look good but taste really good! Everything looks so tasty :) I would love t try this food bc for they are so different. . I like ramen and I like tomato. My daughter agrees with me on this. This one looks great. I do not like capsicum though, so I may have to tell them to skip that. Nothing too spicy for me. I have never tasted ramen but that tomato ramen looks SO good! I wish I could have it right now! Hmm interesting assortment of treats. I am not sure they are my tasted, but it sure looks popular! Ramen is the perfect product for the cold month of December. The food here looks really delicious. 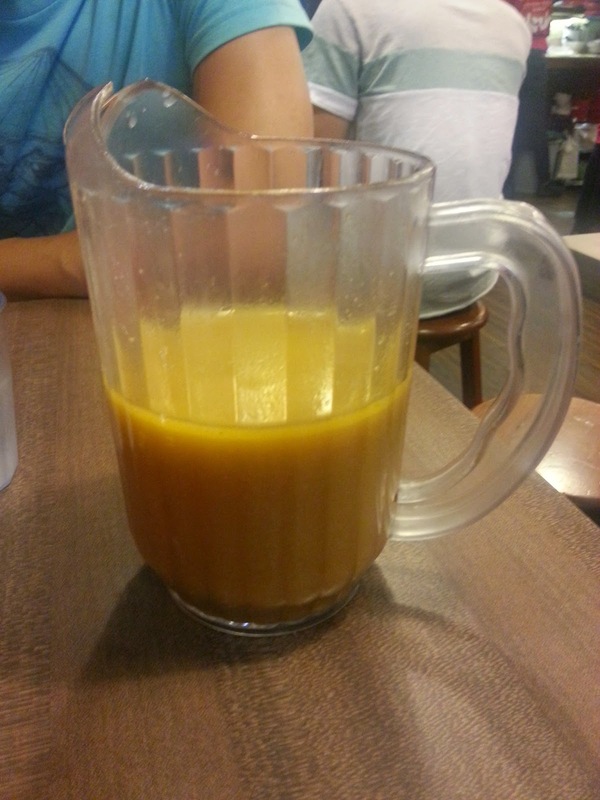 I love the idea of a jug of soup... I enjoy eating soup and sometimes would like more. I like ramen noodles too and the ramen looked so delicious. I like the ambience of the place. Too bad that the food did not match up! 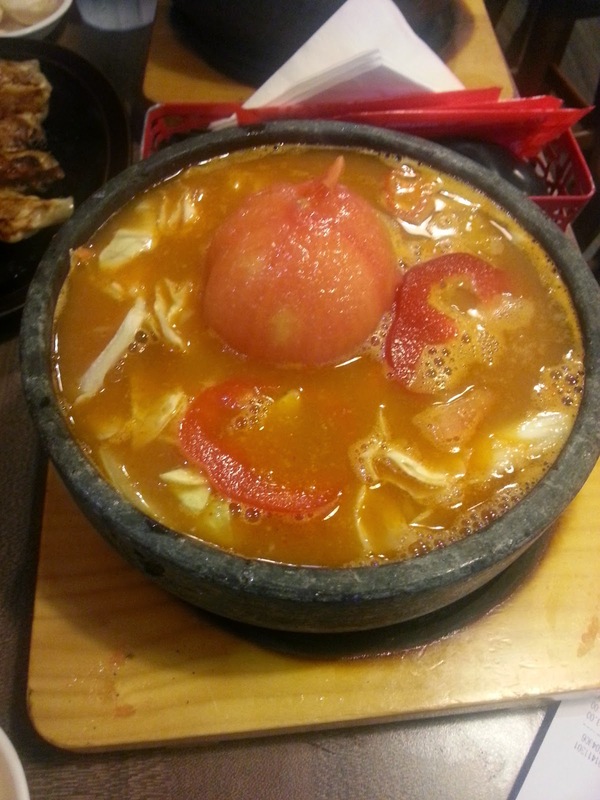 Wow, teh tomato Kazan looks spectacular, and the dishes cooked this way seem so mouth watering, yummy!